A trendy site doesn’t necessarily mean efficient and user-friendly. Choosing trends for your design, you should bear in mind that they can have an opposite effect. Instead of an appealing site, you can get a usability nightmare. Most trends are good when they are used in small doses and don’t harm the UX. What trends do you need to employ responsibly? Why are they so dangerous? What are the ways to escape the risk? You’ll find answers to all of the above questions in the following infographic, created by creative web design experts from TemplateMonster. You have to remember that you shouldn’t use trends blindly. Trend is not a synonym for a good UX. Without creating the proper effect for the user, even a good-looking site turns into a less than satisfactory one. Of course, there are a variety of cool trends, and their number is constantly growing. Each year dictates new rules and trends in the sphere of visual design, and it seems that they can boost your online business but that happens only if you use them with caution. Make sure that a trend is relevant. 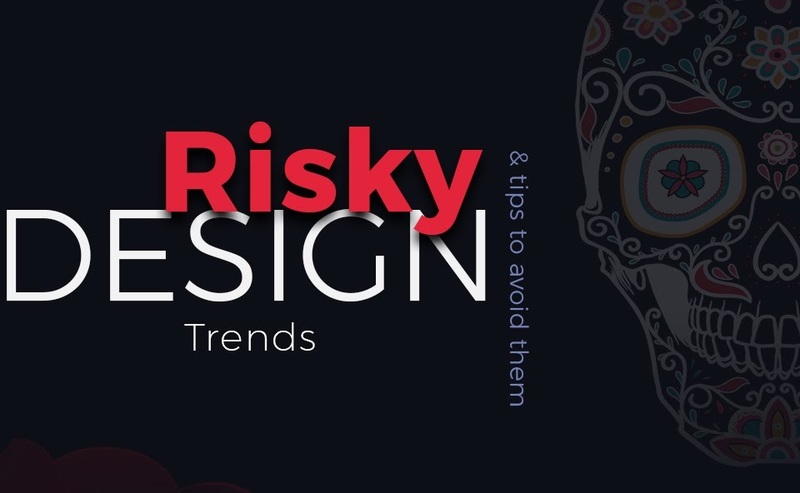 The infographic below shows the most risky trends and discusses their pros & cons. What will you find useful in it? The tips show you how to avoid all those risks and get a trendy site without compromising its UX.